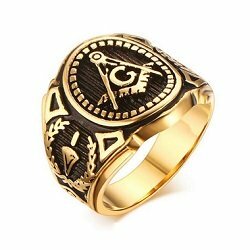 Masonic rings include Blue Lodge (Master Mason) Rings, Past Master Rings, Scottish Rite Rings, York Rite Rings, Shrine Rings, and Eastern Star Rings. 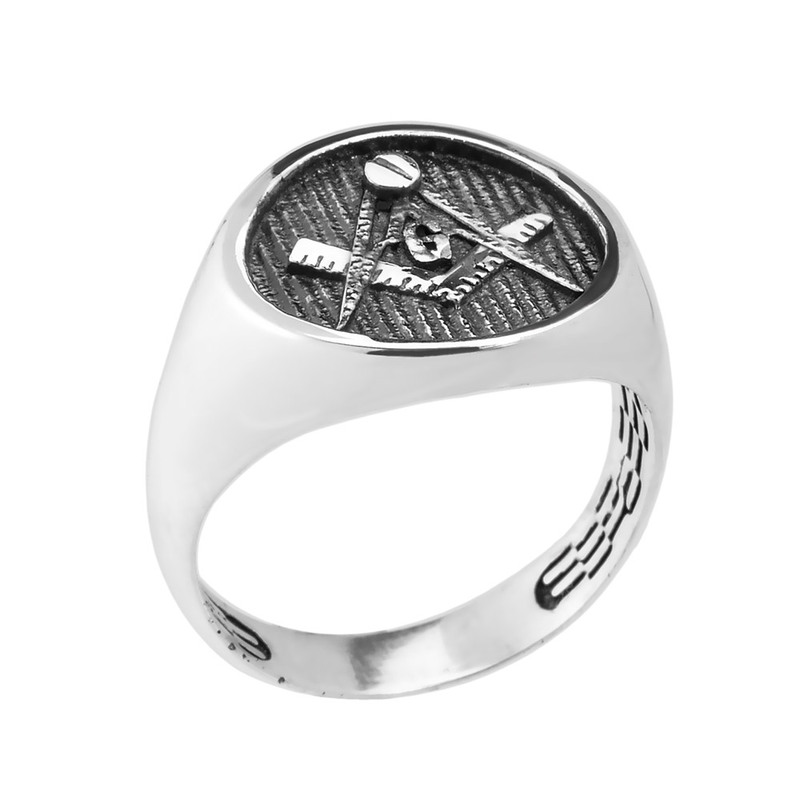 Masonic rings make great Christmas gifts, too. all orders over $ 60! 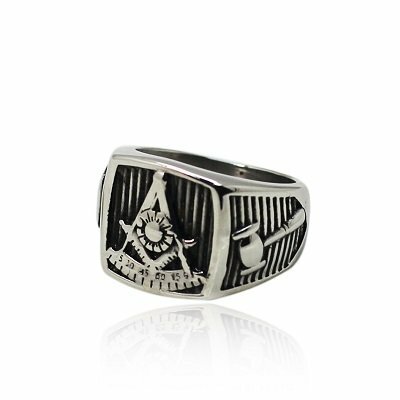 See all Scottish Rite rings under $ 50. See all Shrine rings under $ 50. 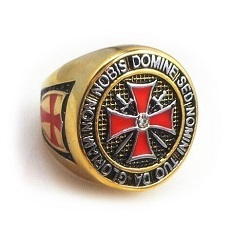 See all Knights Templar rings under $ 50. 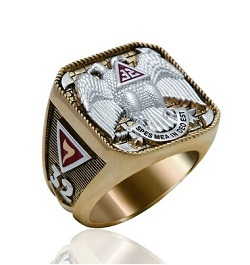 See all Royal Arch (Triple Tau) Masonic rings under $ 50. 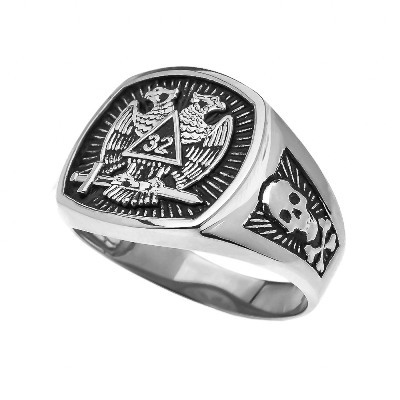 See all Masonic rings under $ 50. 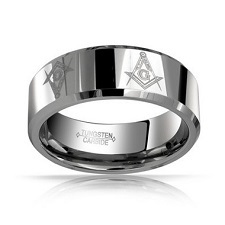 Why do Master Masons wear Masonic rings? Freemasons make a heartfelt promise before the Great Architect of the Universe to be forever bound in unity with brother Freemasons. Within Freemasonry, the only thing that sets a Freemason apart from other men is his heartfelt desire, his promise,...his oath...his obligation,...upon his word... which bonds him to the fraternity...because he is, technically, free to leave the fraternity at any time he so chooses. As our Creator has bestowed Free Will upon each of us, so, too, does the fraternity. 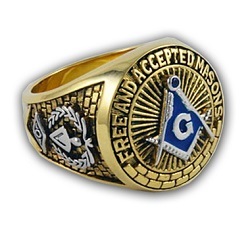 Masonic rings are a visual sign to the world (no Masonic secret, here)...of the Cable Tow binding you to the brotherhood and the brotherhood to you. It is the newly found desire, ... the intense inner and intrinsic need of every man to be a part of a group of others who hold similar beliefs and purposes. 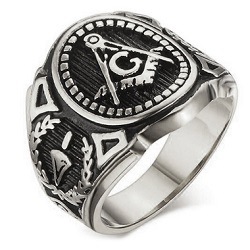 A Masonic ring is an outward sign of your authenticity as a Master Mason within the brotherhood. It is only in the act of the “promise” before the Creator from which brotherhood derives its true strength and beauty. 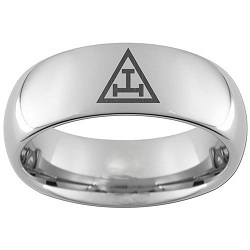 When did men begin wearing a Freemason ring? No one knows, exactly, but they are not of new origin. M.S.A.N.A. 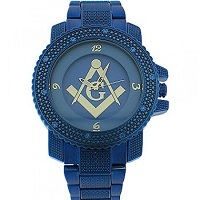 's, (the Masonic Service Association of North America) response is that it may be worn either way. ..the 2 points of the compasses may point inwardly, to the brother to remind him of his obligation or the 2 points of the compasses may point outwardly, toward others, to show an outward sign of the wearer's authenticity as a Master Mason. 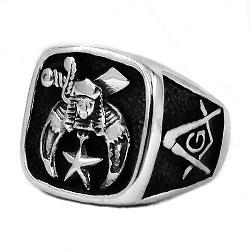 Historically, a Masonic Signet ring, is displayed outwardly. Why are most (not all) of these rings, gold? The short answer is that it is because of the high value and esteem with which gold has enjoyed across the millenniums (thousands of years). For a more complete answer, you may find more information on the Masonic Rings - Gold page. 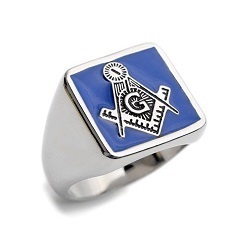 Which symbol is most commonly found upon the face of a Masonic Lodge ring? The symbols of the square and compasses denote several Masonic ideologies, but historically... somewhat analogous (like) to Boaz and Jachin, they symbolize 2 triangles, one pointing upward into the Heavens toward our Creator, and one pointing downward toward Earth ...and to man, our Creator's creation. 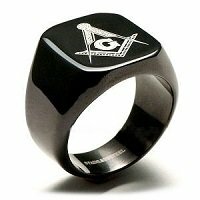 Are there other types of Masonic rings in addition to Masonic lodge (Master Mason) rings? Yes. There is no absolutely correct standard face which belongs to any of these rings, as craftsmen create them in many different styles. 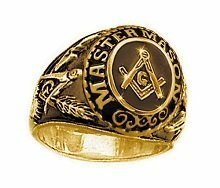 In addition to Master Mason rings, there are rings for Past Masters, Scottish Rite, Shrine, Knights Templar, Masonic Military Rings and Eastern Star Rings, etc.